Every March the fields just outside Alkmaar, Holland in the Netherlands turn from sandy patches of dirt into carpets of lime green sprouts signalling the first chimes of spring. By the time the season is full bloom, the once blank canvas is swimming in an endless sea of reds, blues, pinks and yellows. a sight that truly looks like something out of The Wizard of Oz. It truly is somewhere you need to see before you die. 2. Grand Prismatic Spring, Yellowstone National Park, U.S. 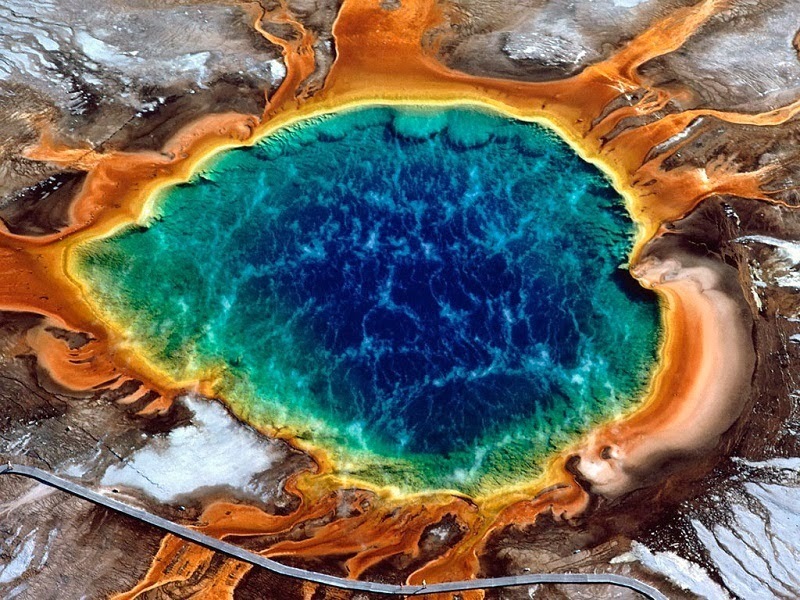 The Grand Prismatic Spring is the largest hot spring in the United States. Spreading out at 250 by 300 ft. this vibrant pool of water surely is breathtaking to see. The Grand Prismatic gets it’s name from the spectrum of glorious color it exudes and it’s striking match to the optical prism of color we would see in such places like a rainbow. This spectrum of awesomeness is created by microbial bacteria that thrive in the springs hot temperature on the edges of the mineral rich water. Algae and other bacteria have been known to create unbelievable water colors before, much like Lake Hillier in Australia. Mount Roraima is the highest in the chain of tepui plateaus in South America. 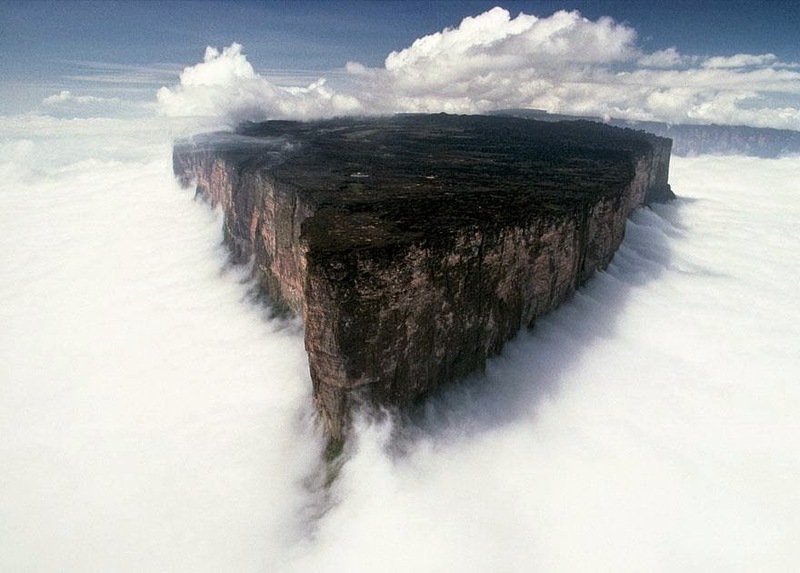 Standing at a staggering 9,219 ft tall, the wondrous peak serves as a triple border for Venezuela, Brazil and Guyana . Local mythology says that the plateau is the stump of a once great and mighty tree where all fruit and vegetables of the world came from. And as you look at this glorious wonder ascend into the heavens, you cannot help but believe is place beyond what we know to be real. When you think of the colors of a beach, I bet that red isn’t the first, second, or even eleventh color that would come to your mind (well, unless there was a shark eating people up in the water). 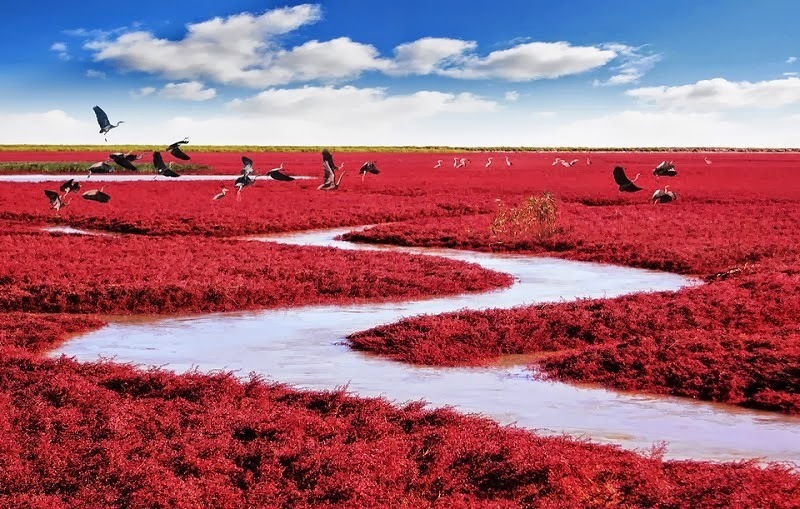 But for this beach in Panjin, China, the vibrant hue is an annual autumn wonder. The popping red color is not the result of any camera tricks, but is however the result of a type of sea weed called Sueda. The sea weed accumulates and grows during the spring, giving off a full blown green sea in the summer until fall when it changes colors from green to red mesmerizing locals and tourists alike. 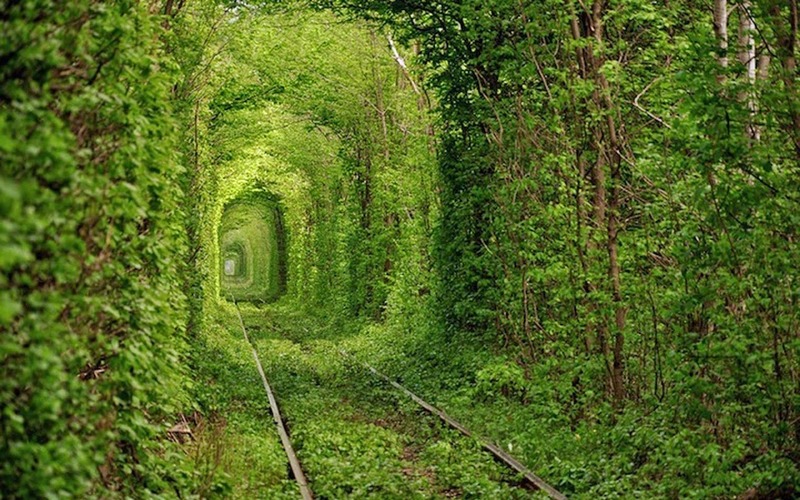 This fairy tale tunnel tucked in between twisted trees surely breathes a breath of romance,one you are sure to inhale graciously. 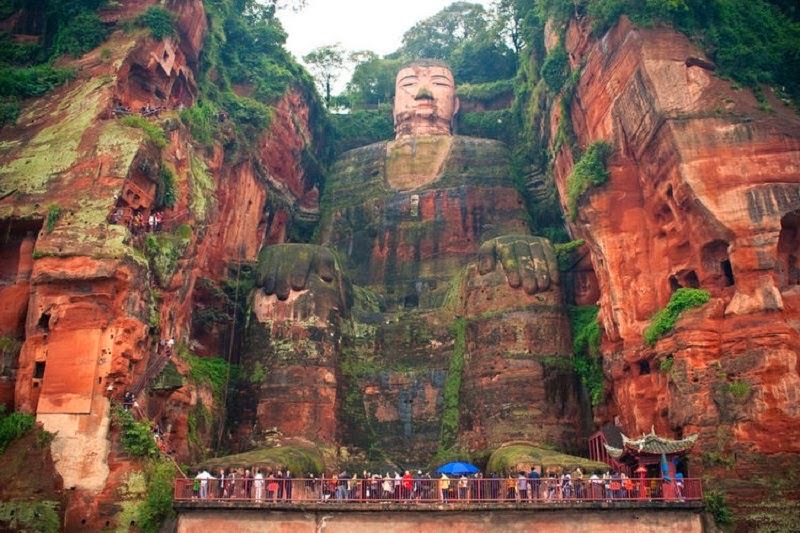 Carved out during the Tang Dynasty (618-907 AD) in China, The Leshan Giant Buddha is the largest stone Buddha statue in the world. Facing Mount Emei, the statue lies at the confluence of the Minjiang, Dadu and Qingyi rivers, and you can watch as the rivers run below it’s feet. This is by far the tallest pre-modern statue ever constructed along with one of the most breathtaking. 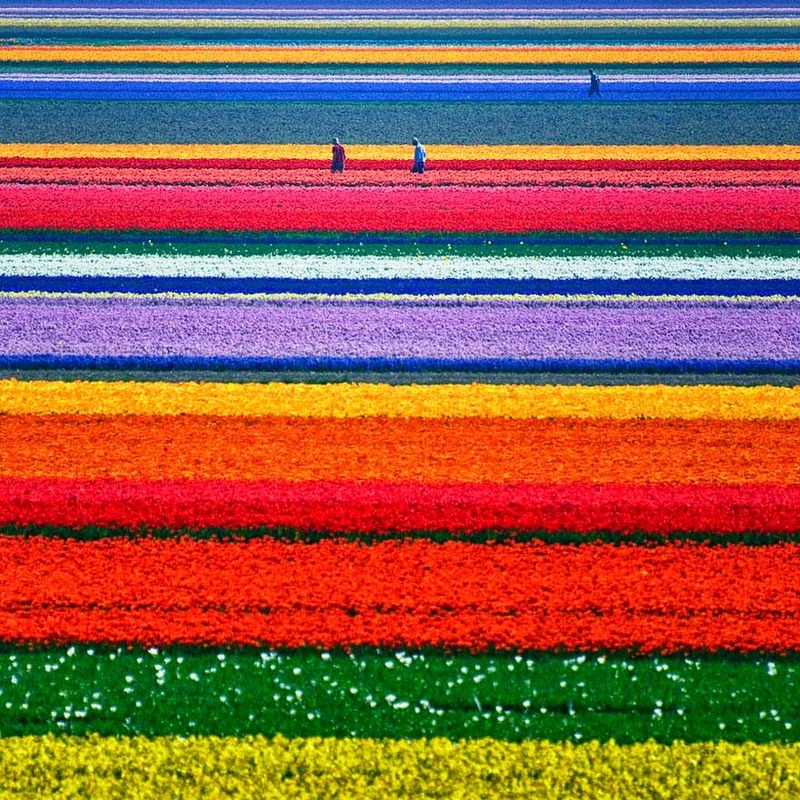 Which one of the landscapes marvels you the most? 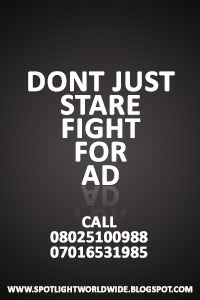 Tell us by dropping your comments below. #6. The Giant Buddha. Imagine its size compared to that of the people. Kudos to Spotlight team. Kudos.